Not to be confused with Nepresso. Nestlé Nespresso S.A., trading as Nespresso, is an operating unit of the Nestlé Group, based in Lausanne, Switzerland. Nespresso machines brew espresso and coffee from coffee capsules, or pods in machines for home or professional use, a type of pre-apportioned single-use container of ground coffee beans, sometimes with added flavorings. Once inserted into a machine, the capsules are pierced and processed, water is then forced against a heating element at high pressure meaning that only the quantity for a single cup is warmed. Nespresso is a premium price coffee, and by 2011 had annual sales in excess of 3 billion Swiss francs. The word Nespresso is a portmanteau of Nestlé and Espresso, a common mechanic used across other Nestlé brands (Nescafé, BabyNes, Nesquik). The bottom of a used Nespresso capsule, showing the ruptures in the foil from which the brewed coffee flows. These ruptures are created when the capsule is pressurized against the head of the machine. All Nespresso coffee is roasted, ground and encapsulated in one of 3 factories in Switzerland (Avenches, Orbe & Romont), but the company sells its system of machines and capsules worldwide, as well as the VertuoLine system in North America and certain other countries. In 1976, Eric Favre, an employee of Nestlé, invented, patented and introduced the Nespresso system to the business market in Switzerland, initially without significant success. Nespresso first tested its new concept in Japan in 1986, and rolled it out to consumers in Switzerland, France, Italy and Japan the same year. A decade later, in part due to the efforts of Jean-Paul Gaillard who introduced the «Le Club» community, the product became more successful. In 1990, Nestlé signed a contract with Turmix, which started to sell Nespresso machines in Switzerland. Thereafter, other contracts were signed with Krups, Magimix, Alessi, Philips, Siemens and De'Longhi. Starting out as an e-commerce business, Nespresso only opened their first boutique in Paris in 2000 as a concept store. Today, Nespresso has a global network of more than 700 boutiques in 67 countries. The first patent application for Nespresso's process of brewing espresso from capsules containing ground coffee was filed in 1996. Nespresso sells or licenses a number of different machines mostly made in Europe. The machines carry well-known kitchen-equipment manufacturers' names such as Krups, Breville, and DeLonghi, but are mostly manufactured by Eugster/Frismag, a Swiss company that is one of the world's largest coffee-machine producers. DeLonghi manufactures the Lattissima models in Italy exclusively. Eugster/Frismag is strictly an original equipment manufacturer (OEM) and does not sell under its own brand. In 2000 Nespresso began distributing machines bearing the "Nespresso" brand. There are numerous models that range in complexity and price, from the entry level Inissia, U and Pixie ranges. Nespresso capsules were sold exclusively by Nespresso while the machines were under patent, and are significantly more expensive than an equivalent quantity of "loose" ground coffee. Because of the hermetically sealed capsule, however, the coffee aroma does not degrade with time like coffee in a pack that has been opened. Nespresso currently sells 28 different Original Line arabica and robusta capsules. Limited Edition are released seasonally. As the system is no longer under patent, more and more third party capsules are becoming available on the market, and can now be purchased in some grocery stores and shops. Each capsule contains 5–7 grams of ground coffee and makes one serving of coffee. Depending on the length of the pour, the capsule can produce a 40 ml Espresso shot, or a 110 ml Lungo (long) pour. Nespresso-supplied capsule bodies and perforated tops are both made of aluminum, while third-party capsules are made from a variety of materials, including plastic and aluminum. To assuage concerns on potential aluminum health effects, most of the capsule interior of Nespresso capsules is lined with food-grade lacquer. For the business market, a different system of Nespresso pods exists. These pad-shaped capsules are not interchangeable with the consumer capsules. Nespresso's hermetically sealed capsules are made of aluminum. Depending on the Nespresso system being used, the flat top or the pointy end of the capsule is pierced when inserted into the machine and the compartment lever is lowered. Some machines make a single large hole, and others make 3 smaller holes. When the machine is activated it pumps hot water under high pressure into injector holes poked into the narrow end of the capsule upon insertion. This causes the flat bottom of the capsule to rupture, as this is made of thinner foil than the rest of the capsule. The base of the capsule holder (on which the capsule sits) has a number of raised squares which cause the foil to rupture at these points. The brewed coffee exits the capsule through these rupture holes and flows through a funnel nozzle into the coffee cup. As in pressure cookers, a safety pressure release valve inside the brewing chamber prevents an explosion from occurring if the normal coffee exhaust path becomes blocked. To appeal to the demand by North Americans for larger servings of coffee than the original Nespresso machine produces, in February 2014 Nespresso launched a new Vertuoline system of machines and capsules in the United States and Canada. The system produces Espresso (40ml/1.35oz), Double Espresso (80ml/2.7oz), Gran Lungo (150ml/5oz), Mug/Coffee (230ml/8oz) and Alto/Alto XL (414ml/14oz) cup sizes that characterizes espresso coffees and the original line of Nespresso coffees. Nespresso simultaneously uses over 25 blends in specially-designed VertuoLine capsules. The VertuoLine capsules cannot be used in the original line of Nespresso machines (now branded "OriginalLine" in North America). 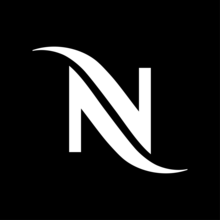 Nespresso continues to sell both OriginalLine and VertuoLine machines and capsules in the United States and Canada, targeting different market segments with the two systems. The VertuoLine system uses two technologies not found in the OriginalLine. First, the system uses "centrifusion" (a term created by Nespresso, being a portmanteau of centrifugal force and infusion), whereby it spins the capsule around in the machine at up to 7,000 rpm to blend the ground coffee and hot water. Second, each capsule has a barcode embedded on the rim, and the barcode laser scanning system reads 5 different parameters: rotational speed, temperature, infusion time, volume and flow of water. Some critics claim that the VertuoLine technology, particularly the use of bar codes, is an attempt by Nestlé to create a new proprietary Nespresso system which excludes compatible capsules from other companies. The VertuoLine system was intended to expand Nespresso's product line to offer coffee closer to the American style of filtered coffee, and thus expand Nespresso's market share in North America. In the United States, Nespresso had only a 3% share of the single-serve coffee market in the year before the introduction of VertuoLine (compared with 72% for Green Mountain’s Keurig system), while in Canada Nespresso had 4 to 5% of the single-serve market in 2013 (compared to approximately 53% for Keurig and 40% for Tassimo). In comparison, Nestlé had 70% of the single-serve market in Europe in 2013. In 2010, the concept (machine, capsule, service) was still subject to 1,700 patents which protected Nespresso's ownership of the concept until they expire. This contrasts with some other prepackaged coffee preparation systems. This led to comparisons of Nespresso with printer manufacturers that tried to hinder the sale of generic ink cartridges, to achieve a vendor lock-in effect. Nespresso's patents began to expire in 2012, gradually allowing competitors to offer capsules and machines compatible with the Nespresso system. By 2010, Nestlé was working on ways to prevent competitors from doing this. The service part of Nespresso's business model - the Nespresso Club and Nespresso stores and cafes - was aimed to be a long-term defence for the brand, its elevated image and premium pricing. Beyond attentive customer service and being the only places where most customers can replenish their 'pods', the brand has been able to associate images of exclusivity and suave connoisseur-ship through these proprietary- and personal touch-points with the brand. Actor George Clooney appeared in ads for Nespresso, with company representatives insisting that he had been elected by Club members to become the brand's ambassador (vs the brand 'buying his sponsorship'), in a form of celebrity advertising that emphasises the status of the brand over that of the endorsing star. Packaged portions of espresso coffee, like those from Nespresso, has become one of the fastest growing segments of the coffee market, accounting for 20 to 40 percent of the value of ground coffee sales in the European coffee market which totals USD 17 billion. In August 2010, it was reported that Nespresso sales had been growing at an average of 30 percent per year over the previous 10 years and more than 20 billion capsules had been sold since 2000 at a then-current selling price equivalent to about USD 0.43 to USD 0.62 per capsule. Nespresso reported annual sales of CHF 3 billion in 2011, growing by 20% during the fiscal year. Nespresso sources most of its coffee through the Nespresso AAA Sustainable Quality Program. In 2017, the company reported that 82% of beans were sourced through the scheme. In the US, the price of capsules in 2014 ranged from US$0.65 to US$0.70 each. In Europe, prices were around €0.35/capsule in the Netherlands. There is a minimum order quantity of 50 capsules, and standard shipping for 50 capsules is US$6.95, raising the total cost per capsule to US$0.79 to US$1.10. Shipping is free for orders of 200 capsules or more. Unless the capsule is recycled, each cup of Nespresso coffee produces aluminum waste, the main material of the capsule. There is 1g of aluminium in one capsule (including the cover) compared to about 13g for a soft drink can. Recycling aluminum uses down to 5% of the energy needed to produce aluminum from ore. To begin with, Nestlé did not implement any recycling programs outside of a few parts of Switzerland. This led to a large per-cup waste generation, which was criticised by some user groups. Today, Nespresso recycling program is available in 36 countries. France and Switzerland are some of Nespresso's biggest buyers so the recycling facilities are more accessible in these countries. A minority of capsules are recycled: 24.6% of Nespresso capsules are recycled globally, but the company states that it has the capacity to recycle 100% of its capsules through its recycling program. The proportion of recycled aluminum in the capsules is not exactly known, but is estimated to be greater than 80% of capsules produced (per annum)as of 2015. The company has launched a program called "écolaboration" to try to remedy the problem. The program set out with certain "roadmap goals" around recycling and sustainability - the program targets were met in 2014, and a new sustainability program was launched: "The Positive Cup". In addition to the recycling program, the Positive Cup strategy includes goals and a roadmap on sustainable coffee sourcing under the Nespresso AAA Sustainable Quality Program™. The AAA Program, which was developed with the Rainforest Alliance and launched in 2003, is focused on helping farmers who grow and supply Nespresso’s coffee. Nespresso claims it does this by teaching farmers best business and growing practices. The company claims participating farmers are not obliged to sell to Nespresso, although the company says many choose to as Nespresso claims to offer a fair price for the coffee and help in all aspects of the farmers' business. Nespresso offers up to a 40% premium on the price of beans, and some 75,000 farmers from 12 countries are participating in the AAA Program . Nespresso Pro, OriginalLine and VertuoLine capsules can be recycled at one of Nespresso's recycling facilities. George Clooney is considered the "face of Nespresso" and has been starring in Nespresso's ad campaigns since 2006, first in European and international campaigns and since 2015 in US market ones as well. In these campaigns Clooney has paired with actors such as John Malkovich, Danny DeVito and Matt Damon, who reportedly received $3 million for his participation. In August 2011 the Australian company Kogan announced the development of the "Ez-press", a coffee machine compatible with Nespresso pods. The Dutch company Douwe Egberts has launched a coffee capsule compatible with Nespresso machines in Europe and the US. Unlike the Nespresso capsule, the L'OR EspressO capsule is made out of plastic and is pre-perforated, and, to preserve freshness despite this, comes individually packaged in an airtight bag. However, in May 2017, Douwe Egberts launched a new aluminium capsule, after Nespresso lost their exclusivity. In mid-July 2010, Sara Lee, which in France makes coffee under the "Maison de Café" brand, launched L'OR EspressO which uses a plastic capsule that fits both Sara Lee's own espresso machines and the Nespresso system. By August 2010, according to Sara Lee, more than 30 million capsules of L'Or had been sold. Nestlé has sued Sara Lee, accusing the latter of contravening its patents. In December 2010, Sara Lee announced that they would start selling their capsules in the US under the Douwe Egberts name, and since mid-2011, Sara Lee has expanded sales of its capsules into other countries, such as Spain where they are sold under the "Marcilla" brand. In 2011, Jean-Paul Gaillard, a former CEO at Nespresso, started a rival firm, Ethical Coffee Company SA (ECC), to make compatible biodegradable capsules for the Nespresso machine. The Italian company Caffè Vergnano has also launched a capsule compatible with Nespresso machines, called Èspresso. Nestlé Nespresso has been accused of wrongfully discouraging the use of this competing capsule product in its machines. The Vergnano capsules, unlike Nespresso ones, can be found in supermarkets and small shops. Other competitors include a Swiss start-up, Nexpod, which offers Nespresso-compatible empty capsules which can be filled with the coffee (or tea) by the buyer, CapsuleCup from Hong Kong that provide compatible capsules in bulk and a South African company based in Cape Town which sells Nespresso-compatible capsules under the brand name Café-Caps. Cafe Caps specializes in private label production. Caffè Negrini is sold in over 800 shops in Austria. In the UK, Dualit and Cafepod have both launched generic products. In the United States HiLine Coffee Company launched a website on 4 July selling Nespresso compatible capsules with the theme Independence from Nespresso. The Berlin-based start-up Gourmesso also offers Nespresso compatible capsules, launching a website in Germany in early 2013 and expanding to other European countries later that year. Gourmesso USA was launched early in 2014. Since their launch, Gourmesso has received Fairtrade International certification for almost all of their 20+ coffee blends. They also offer a number of EU and USDA certified Organic products. In early 2016 Gourmesso also launched a line of Tea Capsules for use in OriginalLine Nespresso machines. In October 2014, Artizan Coffee Company, a Miami-based Specialty Coffee Roaster, received full USDA Organic Certification status for its line of Nespresso Compatible Coffee Capsules, making Artizan Coffee Company the first and only producer of coffee capsules compatible with Nespresso machines to carry the USDA Organic Seal. In 2014, Australian company Tripod Coffee launched their own range of capsules, bring to market the first ‘hermetically sealed’ compatible capsule in Australia. In early 2015 the US based Rosso Caffé was launched, also producing Nespresso-compatible capsules selling independent blends to be used in Nespresso machines. In March 2016, Starbucks announced it will sell Nespresso compatible capsules in Europe. These were launched with four core pods including three single origin pods, and are compatible with all consumer Nespresso machines. However, they are not compatible with built-in units such as those in a Miele integrated unit or a business solution[clarification needed] Nespresso machine. In early 2017, the major Scandinavian-based Nespresso competitor Real Coffee introduced disposable and recyclable hot chocolate capsules compatible with Nespresso machines to Europe, increasing the versatility of the machine. The brand, which is currently present in Denmark, Sweden, Norway and the UK, are known to focus on ethically-sound coffee pods. This includes the use of organic and Fairtrade-certified coffee as standard, and recyclable capsules. Additional competitors to Nespresso, offering compatible capsules, include brands such as Jones Brothers, Bestpresso, Peet's, Carter Phillip, Roasters Coffee UK and Coffee Lab. In March 2011, the Swiss discount supermarket, Denner, won a court battle with Nestlé over the sale of Nespresso-compatible capsules. The plastic capsules are approximately half the retail price of the Nespresso capsules. By 2014, Nespresso had been involved in further legal disputes about pods with competitors in the UK, Germany, France, Belgium, and the Netherlands, and as summarized in one media report, "Nestlé has lost in just about every one of those conflicts." In France - Nespresso's largest market which made a quarter of its global sales at the time - the antitrust watchdog Autorité de la concurrence stated that "it appears that Nespresso may have abused its dominant position by tying the purchase of its capsules to that of its coffee machines, with no fair justification, de facto ousting rival capsule makers". The company agreed to no longer limit the guarantee on its single-serving coffee machines by imposing the condition that customers only use its own Nespresso pods, and to remove warnings against the use of third-party pods. ^ Vesi. "Nespresso Machines". Retrieved 24 May 2018. ^ "Nespresso Coffee Machine Introductory Ranges". WhichNespresso. ^ "Nespresso Capsules Guide". Retrieved 2 January 2018. ^ "Nespresso - Coffee & Espresso Machines & More". Retrieved 24 March 2016. ^ "Nespresso professional website". Nespresso. Nespresso. Retrieved 14 July 2015. ^ "La capsule de café Nespresso". nespresso.com. Retrieved 1 April 2018. ^ "VertuoLine Launch in North America and Difference from OriginalLine". WhichNespresso. Retrieved 17 June 2017. ^ a b "Nestle Supersizes Nespresso Machine for U.S. Coffee Drinkers". swissinfo. 19 February 2014. Archived from the original on 4 March 2014. Retrieved 4 March 2014. ^ a b Shaw, Hollie (19 February 2014). "Nestlé's Nespresso launching brewing machine to take on Tassimo and Keurig systems". National Post. Archived from the original on 4 March 2014. Retrieved 4 March 2014. ^ "Our goal is to create a new premium coffee segment in North America". Nespresso. Archived from the original on 4 November 2014. Retrieved 4 November 2014. ^ Miller, Matthew (26 April 2014). "Nespresso VertuoLine: Barcodes, lasers, and Centrifusion provide an amazing cup of coffee". ZDNet. Archived from the original on 28 April 2014. Retrieved 28 April 2014. ^ Sorensen, Chris (11 March 2014). "As patents expire, companies are desperate to reclaim their monopoly on your pricey morning brew". Maclean's. Archived from the original on 4 November 2014. Retrieved 4 November 2014. ^ a b Bouckley, Ben (19 February 2014). "Nespresso believes 'vital innovation' will boost brand's $300m US sales". BeverageDaily.com. Archived from the original on 11 March 2014. Retrieved 11 March 2014. ^ "Will Nestle's Nespresso VertuoLine Cause Problems for Green Mountain's Keurig 2.0?". The Motley Fool. 2 March 2014. Archived from the original on 4 March 2014. Retrieved 4 March 2014. ^ Geller, Martinne (17 August 2016). "Nestle fights to keep coffee crown from keen competitors". Daily Mail. Retrieved 13 November 2017. ^ a b c d e Alderman, Liz (21 August 2010). "Nespresso and Rivals Vie for Dominance in Coffee War". The New York Times. ^ Letessier, Ivan (10 April 2009). "Nespresso a toujours du grain à moudre" [Nespresso always grain to grind] (in French). FR: Le Figaro. Retrieved 2 December 2009. ^ "Tanim de Chiapas Mexico - Limited Edition - Nespresso". Retrieved 24 March 2016. ^ a b The 100%recyclable capsule: Nespresso website, 13 May 2007. In English. Retrieved 2007-05-13. ^ "The aluminum capsule, the 4x4 espresso" (PDF). (108 KB), Freedom, Nicole della Pietra, Wednesday, 14 February 2007 (the site of Jean-Luc Pasquier). ^ Aftermedia Europe (23 June 2014). "B2B Nespresso capsules and recycling". Retrieved 1 April 2018 – via YouTube. ^ Siegle, Lucy (17 July 2013). "George Clooney tastes sustainability in Nespresso coffee | Lucy Siegle". The Guardian. Retrieved 16 October 2017. ^ a b Nudd, Tim (2 November 2015). "George Clooney Is Finally Pitching Nespresso in the U.S., With Help From Danny DeVito". Adweek. Retrieved 16 October 2017. ^ Nudd, Tim (9 November 2009). "A coffee maker saves George Clooney's life". Adweek. Retrieved 16 October 2017. ^ Gianatasio, David (13 November 2013). "Matt Damon Joins George Clooney in Nespresso Campaign, but It's No Oscar Winner". Adweek. Retrieved 16 October 2017. ^ Kogan Australia. "Coffee Machines - Appliances". Kogan Australia. Retrieved 24 March 2016. ^ "Douwe Egberts also releases aluminium coffee capsules". retaildetail.eu. 31 May 2017. Retrieved 1 April 2018. ^ "Sara Lee May Sell Nespresso Compatible Capsules in the US under the Douwe Egberts Name". Single Serve Espresso. 16 December 2010. Retrieved 5 January 2011. ^ "Fire Up Another 4 Billion Cups". Portfolio.com. 31 March 2010. Retrieved 5 January 2011. ^ "The new compatible capsules by Caffè Vergnano". Retrieved 11 February 2014. ^ ""Guerra" delle capsule da caffè Vergnano batte Nespresso". La Stampa. Retrieved 11 February 2014. ^ "Fresh Alternative to Nespresso Capsules and K-Cups - HiLine Coffee Company". HiLine Coffee Company. Retrieved 24 March 2016. ^ "Produkt-Finder | Fairtrade Deutschland". www.fairtrade-deutschland.de. Retrieved 28 September 2016. ^ "Tea Capsules for Nespresso®* machines | Gourmesso Coffe". www.gourmesso.com. Retrieved 28 September 2016. ^ "Artizan Coffee Company". The Organic Alternative to Nespresso. Retrieved 1 March 2016. ^ "Tripod Coffee - Nespresso® compatible coffee capsules". Tripod Coffee. Retrieved 1 April 2018. ^ "Rosso Caffe Capsules - Alternative to Nespresso® - Order Now". Rosso Caffe. Retrieved 24 March 2016. ^ ". :: Bonhomia BOHO Single Serve Coffee Brewer & Milk Frother in India ::". Retrieved 24 March 2016. ^ "Nespresso compatible coffee pods - PODiSTA Australia". Retrieved 24 March 2016. ^ "Starbucks announces Nespresso pod deal". Reuters. ^ "Starbucks Nespresso Capsules launch info and compatibility". WhichNespresso. ^ "Clear position on the environment". realcoffee.com. Retrieved 1 April 2018. ^ "Nespresso compatible coffee pods - Roasters Coffee UK". ^ Mulier, Tom (4 March 2011). "Denner to Resume Nespresso-Compatible Capsule Sales After Ruling". Bloomberg. ^ a b c Ferdman, Roberto A. (14 April 2014). "Someone is finally forcing Nespresso to open-source its coffee pods". Quartz. Retrieved 4 June 2017. Wikimedia Commons has media related to Nespresso.